L’Etivaz is made as Gruyère would have been 100 years ago. In the 1930s a small group of Gruyère producing families in the Vaud Alpes broke away from the Gruyère name to set up a co-operative maturing cave in the village of Etivaz where each family could bring their fresh cheeses to be matured. Cheese production in the region had been steadily declining, partly as a result of poor maturing conditions in individual chalets. By maturing collectively and marketing their cheeses under the new name of L'Etivaz this breakaway group would succeed in reinvigorating the traditional cheeses making techniques of their region, and in preserving these methods into the 21st century. 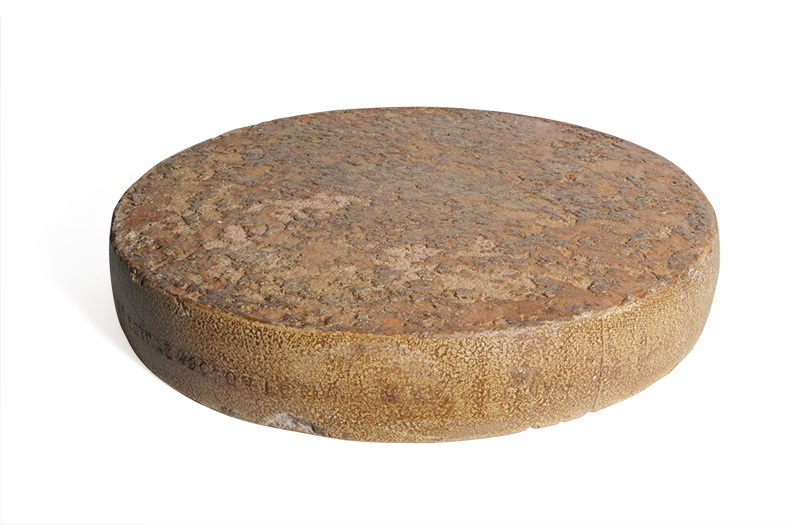 L'Etivaz wheels are smaller and lighter than modern Gruyères, a modest size which would have been manageable in the days when a farmer might carry his cheeses to market on the top of his head. The cheeses are only made with summer milk from herds grazing the Vaud Alpes' herb and wildflower-filled high pastures. In the 68 mountainside chalets that are occupied by Etivaz producers during snow-free months, this milk is heated over wood fires in giant copper cauldrons, their sides blackened by smoke and ashes which rise into the chalet's rafters, giving the curds a distinctive smoky quality. The smoke-tinged finish of this cheese is a subtle complement to wheels which are finely balanced between floral, sweet cream notes and mouth-watering salinity.